This image is a staple of my underwater and swimming sessions. In fact, almost everyone will quickly recognize this being similar to one Michael Phelps did several years. The back stroke turn and subsequent dolphin kick is one of the most beautiful pieces of a swim. Coming into the way, at roughly 10 meters, the swimmer crosses under the distance markers. From here, they count their strokes, make a back-to-belly turn, one stroke, touch the wall and complete their turn by planting both feet on the wall and pushing off in a streamlined position. Now that they are gliding through the water almost missile-like, they engage their core muscles and legs to propel themselves through the water column and back to the surface to start their back stroke again. Let me assure you, as someone who has to demonstrate this at times to younger swimmers, it is not. It fact, it's quite challenging. Capturing this underwater requires me to stay well under water while tracking my swimmer to the wall, through their turn and into their dolphin kicks. I also have to find that sweet spot where they are in the kick and central over the lane lines. This is easily one of my favorite images to capture and, in fact, is one I won't let a client go without. 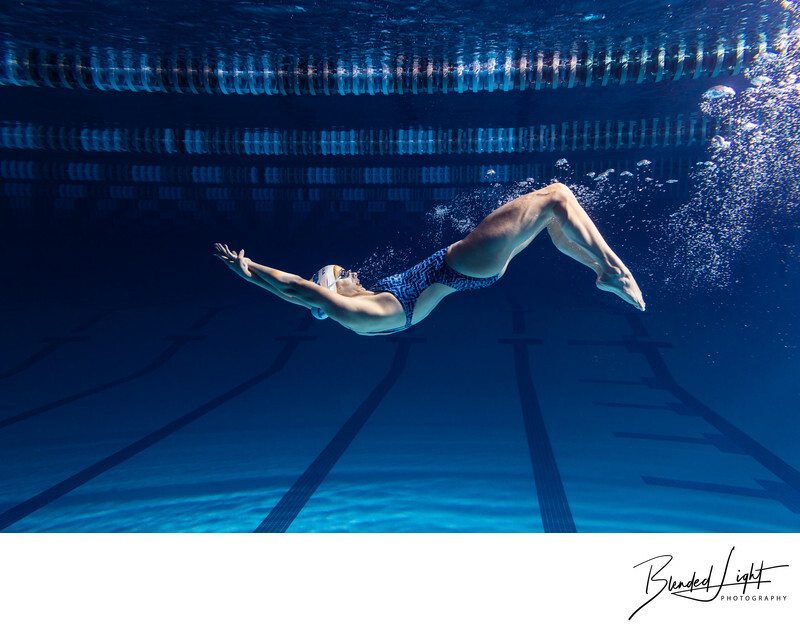 I work with swimmers across the state of North Carolina, so if you're ready to start getting your session lined up, reach out and we'll talk! 1/250; f/5.0; ISO 400; 24.0 mm.